SACRAMENTO, Calif. /California Newswire/ — AB 1839, the California Film and Television Job Retention and Promotion Act of 2014 passed the Assembly Arts, Entertainment, Sports, Tourism, and Internet Media Committee today by a vote of 7-0. 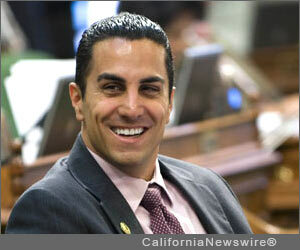 The legislation, authored by Assemblymembers Mike Gatto (D-Los Angeles) and Raul Bocanegra (D-Pacoima), would expand and improve the State’s current program to keep production jobs in California. California’s film and television industry has faced increasing competition in recent years from subsidies by other states and countries. Since its creation in 2009, the California Film and Television Job Retention and Promotion Act prevented as many as 51,000 well-paying jobs from leaving the state, and helped generate $4.5 billion in economic activity. Despite the program’s success, figures from the U.S. Labor Department’s Bureau of Labor Statistics show that from 2004-2012, California lost more than 16,000 film- and television-industry jobs, resulting in more than $1.5 billion in lost wages and economic activity. The bill now goes to the Assembly Committee on Revenue and Taxation, which Bocanegra chairs, then would go to the Assembly Committee on Appropriations, chaired by Gatto.